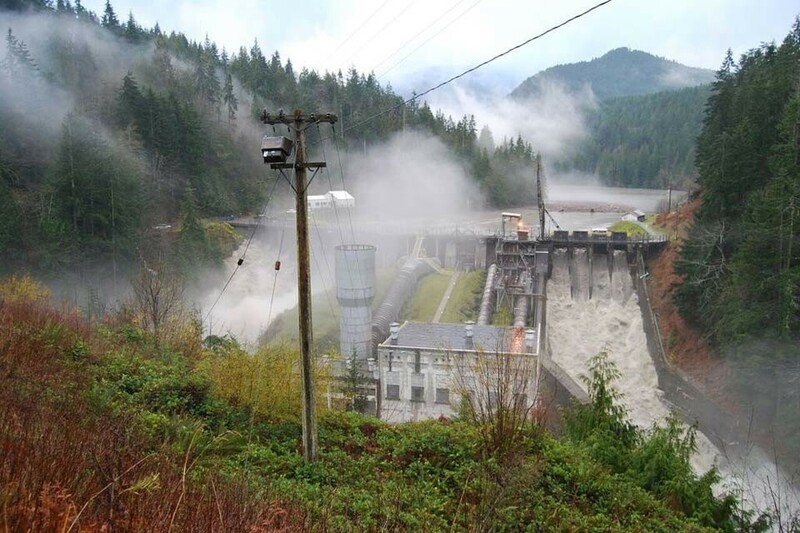 Both an upper and a lower dam were built on the Elwha River at the turn of the last century to create hydroelectricity power needed to develop Port Angeles and the surrounding area. The dams were built without fish ladders, which was a violation of state law even then. 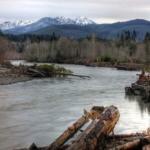 All five species of Pacific Salmon made their home in the Elwha River whose headwaters are in Olympic National Park. 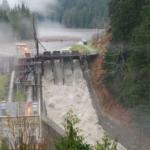 The dams blocked salmon access to more than 80 acres of prime, upstream habitat. Salmon populations plummeted. Remaining salmon were seen each year, returning to spawn, banging their heads on the concrete, still trying to make their way past the dams. The ELwha Klallam Tribe, whose members were greatly impacted by the loss of salmon; lead the call for dam removal. Debates raged for decades. 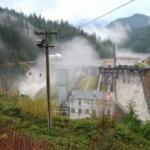 Congress passed the Elwha Dam Removal Act, but the final funding needed to remove the dams was not approved until it became part of the Obama stimulus package. Prior to dam removal, much work was needed to prepare the floodplains and surrounding habitat for changes resulting from dam removal. 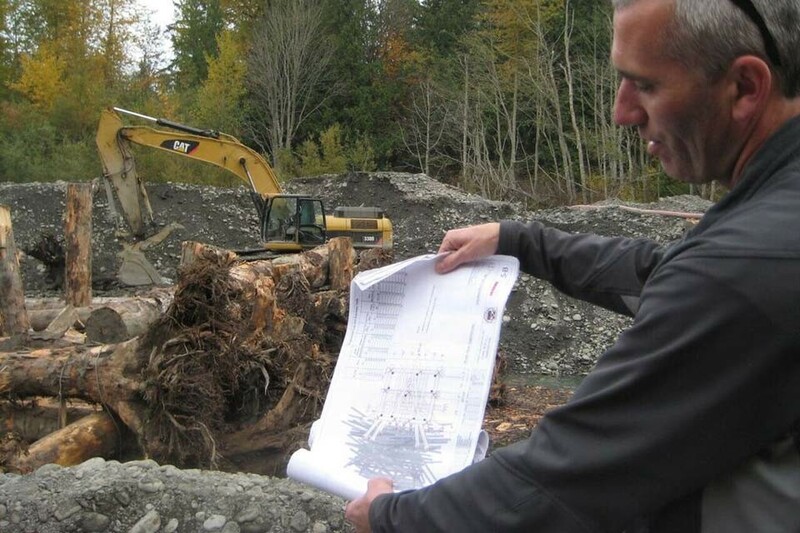 The Elwha Klallam Tribe, with funding allocated from the Lead Entity, and the Salmon Recovery Funding Board,Pacific Coastal Salmon Recovery Funds, NOAA and others, built more engineered logjams along the Elwha. 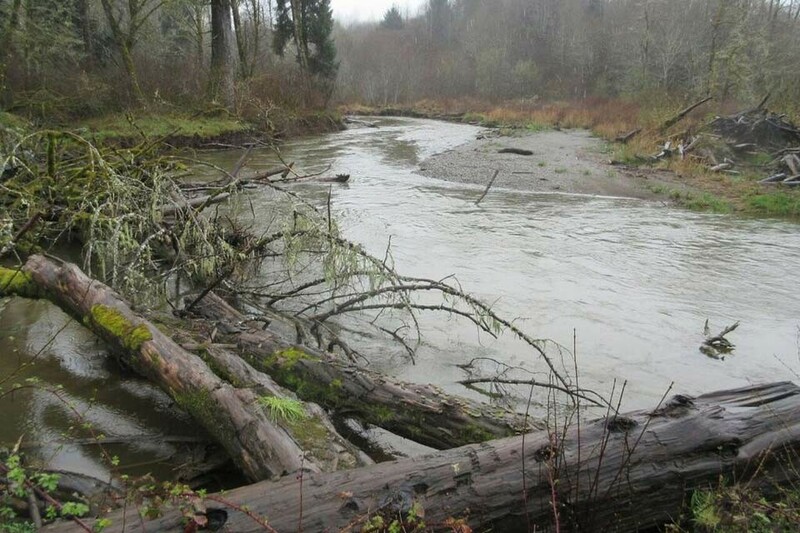 Few Northwest rivers have experienced this amount of logjam creation. 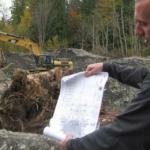 The Elwha Klallam Tribe’s Restoration Crew built these logjams which are massive in size. The log jams were designed to capture wood, sediment, rock and wood moving through the Elwha after dam removal. Floating wood jams are natural features of healthy rivers. Tree lines rivers, banks erode and trees fall into the river. 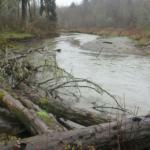 Log jams pile up, slow the river, which helps reduce flooding and also provides pools where salmon can rest and hide. Previous logging practices, which did not include healthy riparian buffers; and wood removal from rivers (the thought was that a “clean” river was as beneficial as a “clean” highway) created legacy impacts which impact salmon populations still. 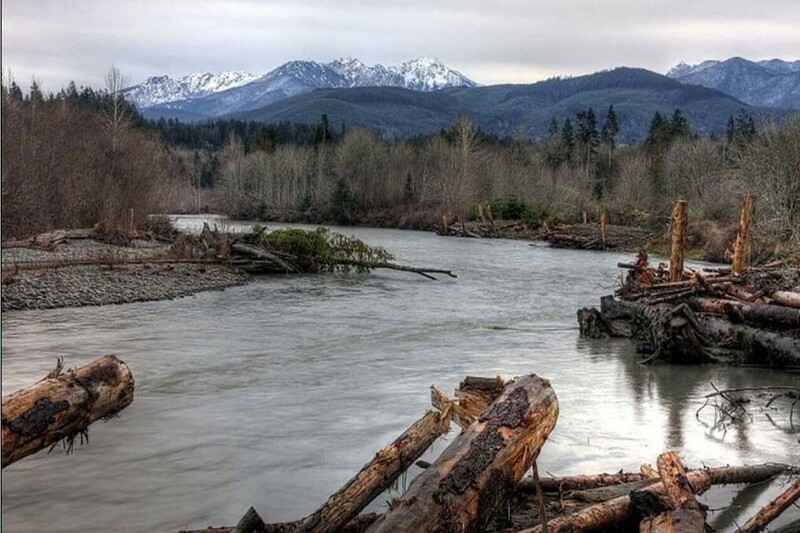 Studies show extensive use of log jams by salmon shortly after the jams are built.Both an upper and a lower dam were built on the Elwha River at the turn of the last century to create hydroelectricity power needed to develop Port Angeles and the surrounding area. The dams were built without fish ladders, which was a violation of state law even then. All five species of Pacific Salmon made their home in the Elwha River whose headwaters are in Olympic National Park. 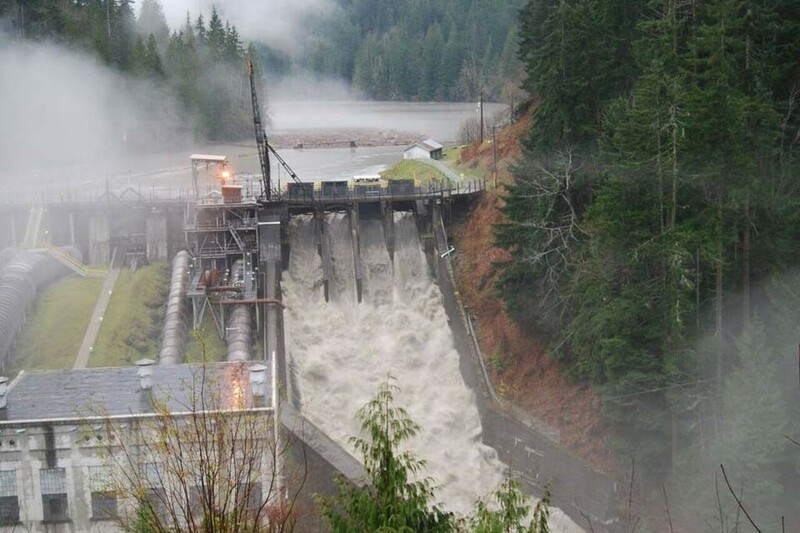 The dams blocked salmon access to more than 80 acres of prime, upstream habitat. Salmon populations plummeted. Remaining salmon were seen each year, returning to spawn, banging their heads on the concrete, still trying to make their way past the dams.